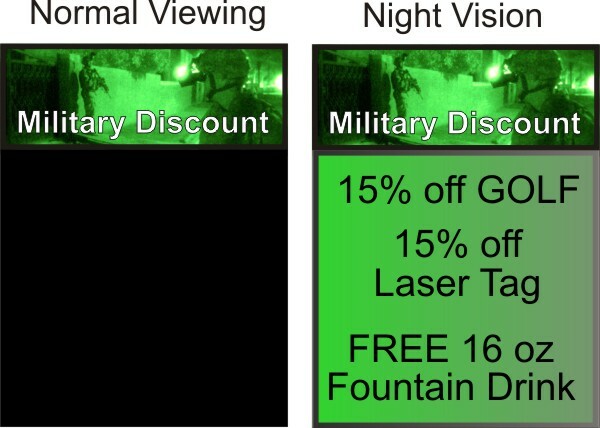 This is a typical Military Discount 18" x 24" Menu with 3M 3200 Engineer Grade Scotchlite as the printing surface made by our sister company http://www.anytimesign.com/military_discount_menu (800-582-1554). The customer can apply this decal to any smooth surface including glass, masonite, Formica, etc. The first pass through the Roland Digital Printer prints a full color header, a covert carbon black message and a Magic Black field around the message. The second pass through the Roland Digital Printer prints a second coat of Magic Black over the entire black surface. Infrared Coatings Company has outfitted a typical Roland Solvent Digital Printer with a Magic Black Head and Magic Black Ink. An off-the-shelf software from Wasatch is used to isolate and drive the printing heads with Magic Black, carbon black and four color process all in one pass. Does First Lady Michelle Obama eat only healthy food or does she keep secret snacks in her handbag? Why does President Obama bowl like he's off balance? Perhaps there's a secret something in his left front pocket. 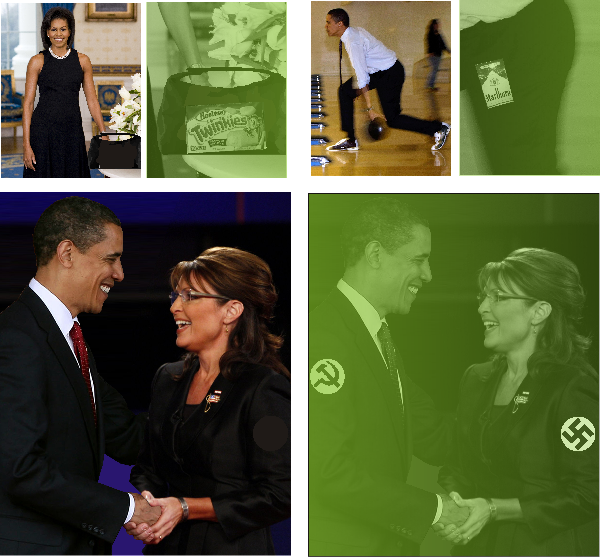 What does Barack Obama REALLY think of Sarah Palin and what does Sarah Palin REALLY think of Barack Obama. The final photo reveals perhaps what is going on in their minds as they smile and shake hands. 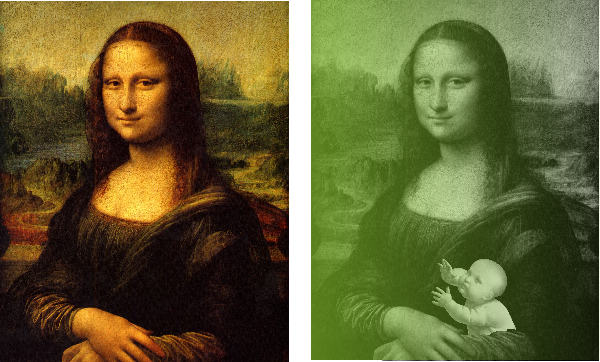 Fauxpix, a sister company, used infrared night vision equipment to look beneath the surface of photos created with Magic Black Digital Ink and a specially converted Roland 6 head digital printer. http://www.fauxpix.com used the technology created by Infrared Coatings. The YouTube Video illustrates the potential of the Magic Black Digital Process with a bit of humor.